When you install XenDesktop and need to configure the Desktop Delivery Controller to create the Database then this might result in security errors. When the DDC needs to create the Database then set the security as shown below. 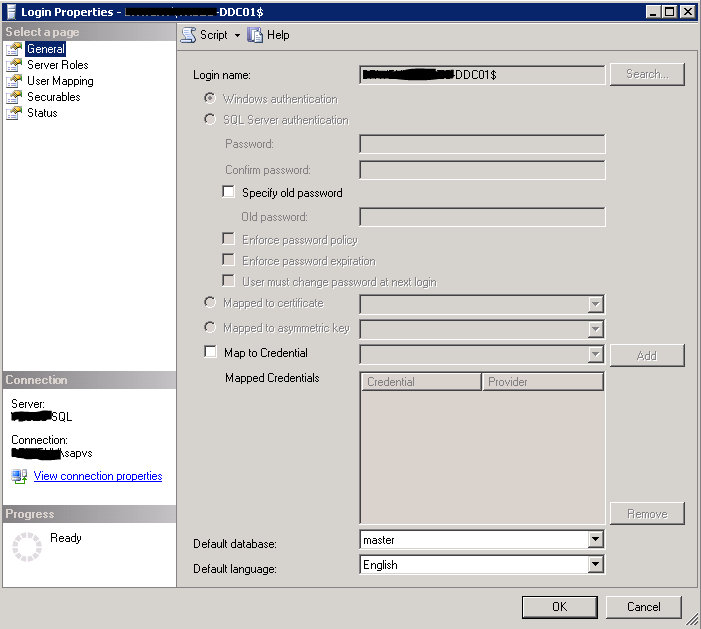 First add the Desktop Delivery Controller as security login to the SQL server and give the server Sysadmin permissions. When you are using VMWare ESX as Hypervisor you need to configure some setting on the Desktop Delivery Controller and on the VCenter server before you can add the VMWare vCenter host to the XenDesktop environment. First you need to create a user or a role where you can add multiple users in the vCenter environment. In the following steps I explain how to create a Role with all the necessary right. 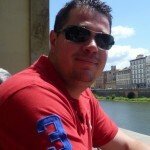 After installing Hotfix Update 4 for XenDesktop 5.6 I noticed errors in my eventviewer that the connection to the database was lost. I discovered the errors because I couldn’t create Desktop Groups, I keep getting the error: “Database could not be contacted“. 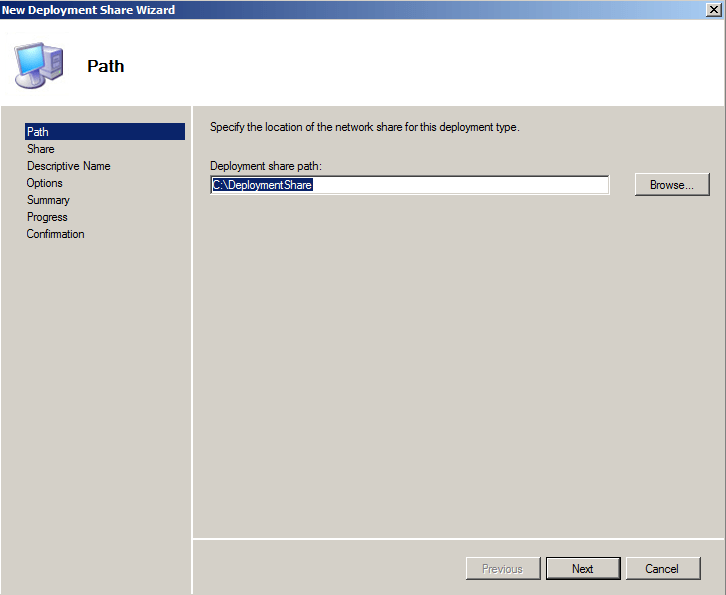 In the provious post I explained how to install MDT and install/updates the required services. 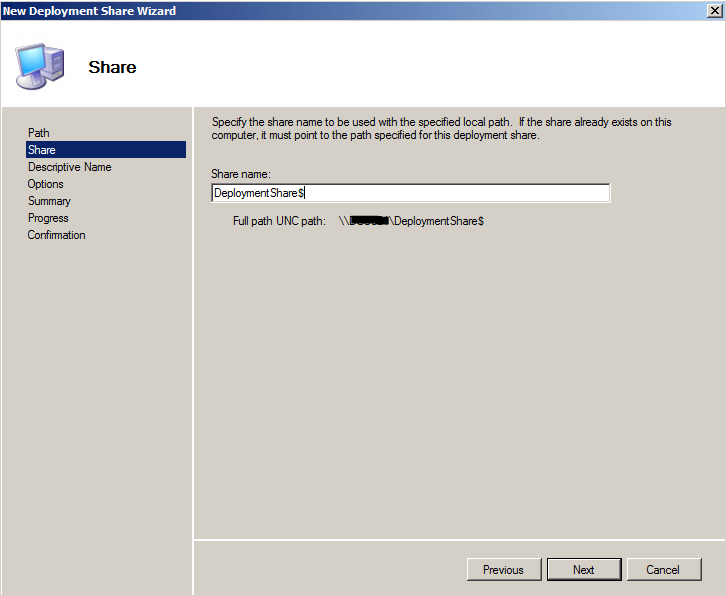 In this post I explain how to create Deployment Shares and add the OS source files and patches. First of al we have to create a Deployment share where the OS files are saved. 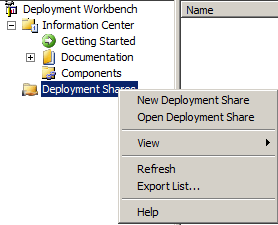 Follow the steos below to create the Deployment Share. 2. Select the Path where all the files for deployment will be stored. 3. Specify the Share name you like to use, I left it default. 4. Give the share a Description, also here I used the default value. 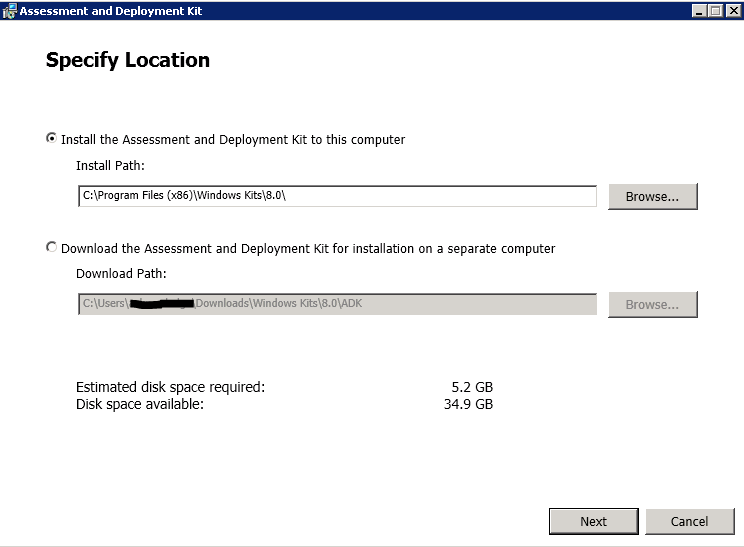 Microsoft Deployment Toolkit (MDT) 2012 Update 1 it’s possible to deploy Windows 8, Windows 7, Office 2010 and 365, Windows Server 2012, and Windows Server 2008 R2 in addition to deployment of Windows Vista, Windows Server 2008, Windows Server 2003, and Windows XP within your organization. MDT is supported on Windows 7, Windows 8, Windows Server 2008 R2 SP1, Windows Server 2008 Service Pack 2 and Windows Server 2012. 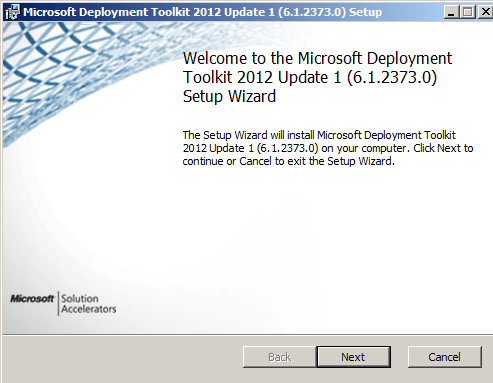 To start using MDT download it here: http://www.microsoft.com/en-us/download/details.aspx?id=25175. After downloading the MSI file start the installation, it’s basicly a next,next,finish installation. 1) On the Welcome Screen click Next. 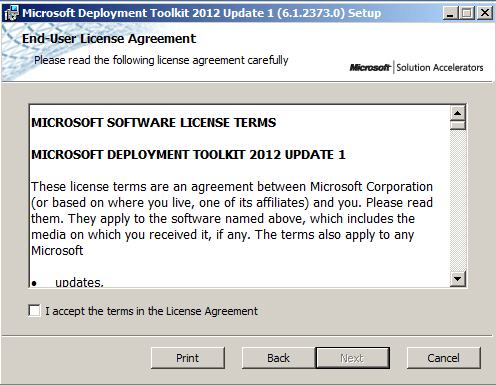 2) On the End User License Agreement, Accept the license terms and click Next. 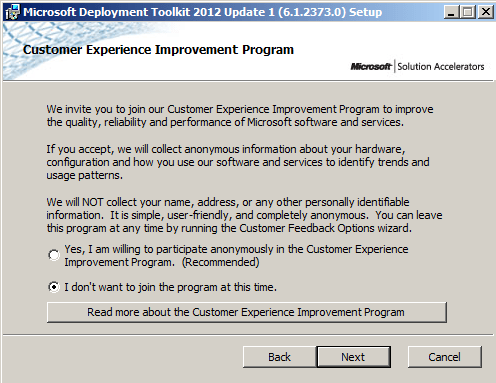 3) Because I work in a test environment I don’t want to use the Customer Experience Improvement Program, so I select “I don’t want to join the program at this time” and click Next. 4) I install all the features and click Next. With RDS and XenApp you like to customize the Adobe Reader installation, which allows you to configure some settings and remove some features. This post describes how to customize Adobe Reader and also deploy the updates. Adobe Reader 11.00.00; Choose the language you like to use. Adobe Reader Updates; Choose the appropriate language or use the misc folder to use the multi language version. Now install the Customization Wizard and add the package you just extracted. In the Next screen Accept the EULA. In previous post we Installed VAMT and then added licenses and devices, now we will create the possibility to use Active Directory-Based Activation. 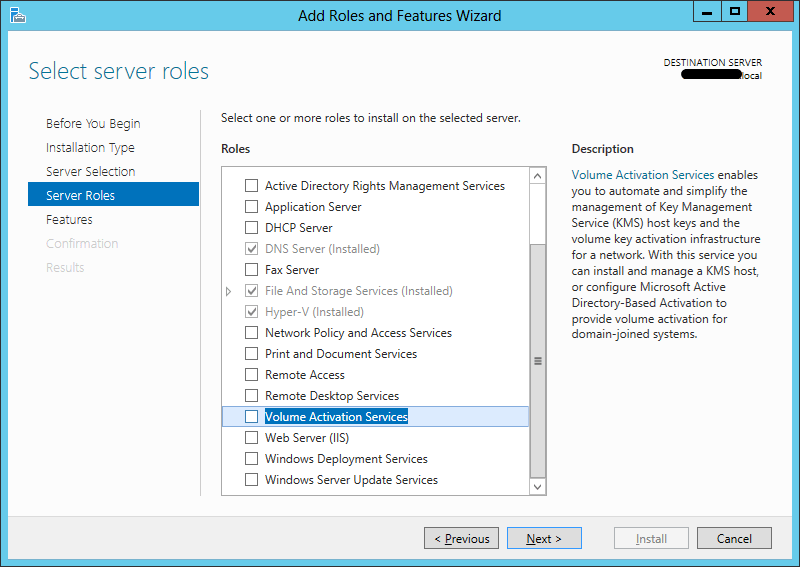 To use the Active Directory-Based Activation you need at least one Windows Server 2012 domain controller. 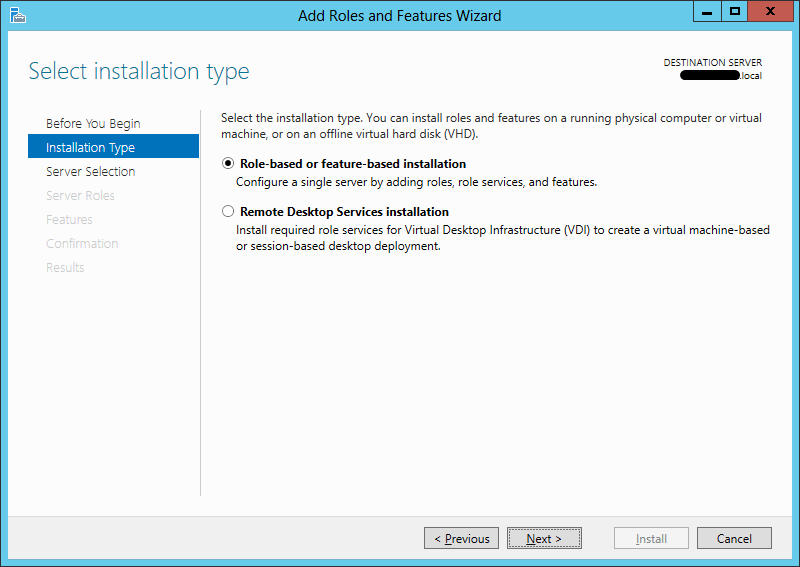 To use AD-Based Activation you need to install the Volume Activation Services Server role. This can be done using the Server Manager. In the Server Manager click on Manage and then click Add Roles and Features. Select Role-based of feature-based installation and click Next. Select the server which you want to install the Volume Activation Services on from the server pool and click next. 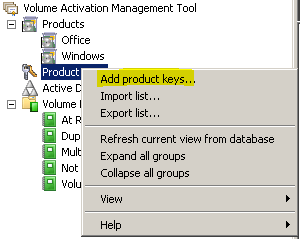 Select the Volume Activation Services in the Server Roles screen and click Next. A new screen (pop-up) will appear which displays the required features just select Add Features. In a previous post I wrote that I had some XenServers which where randomly rebooting and I solved it by disabling the “Write-Cache Battery Override” but after two weeks the servers are again rebooting randomly. After contacting my support contact at our reseller he send me a link (http://support.citrix.com/article/CTX136517) to a Citrix knowledge base which mentions that the problem is in the Intel 5500/5520/X58 chipset. 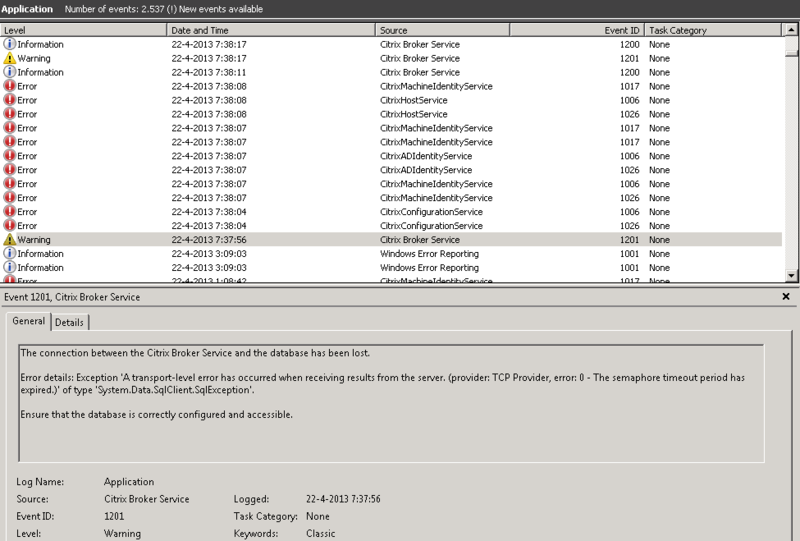 When uploading the XenServer System Status report to Auto Support this issue will be detected. The commands displays that Interrupt Remapping is supported, now we have to Disable Interrupt Remapping. This can be done by adding the following Xen boot parameter “iommu=no-intremap” to the /boot/extlinux.conf. This solves out problem and now the servers are stable. In my previous post we installed VAMT 3.0 and created the database. In this post we will add MAK and KMS keys and we will add some host to monitor the servers/clients to see if the activation is successful. Because you need at least 5 Servers or 25 Clients before KMS keys will work we are using MAK keys in this post. When you opened VAMT and are connected to the database you will see the following screen. As you can see there are now products discovered or License keys installed. 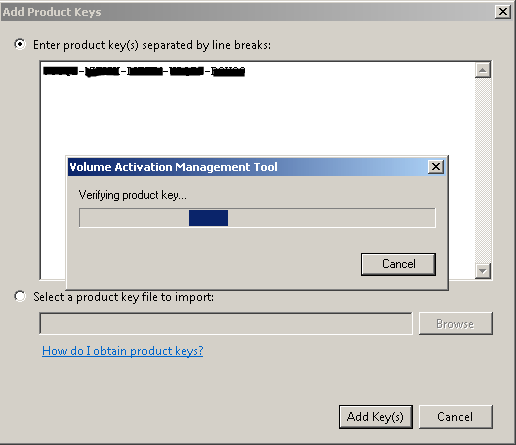 To install the license keys “Right click” on the “Product keys” and select “Add product keys..“, then add the license keys into the box and click on “Add Key(s)” when you like to add multiple keys use a separate line for the different keys. After the key is verified it will show up in the product keys overview.